Today I made my third and final batch of Rose and Milk Soap. I think this time I may have hit the jackpot. I finally made a bar of soap that I think is beautiful enough to give to my own mother. After making my first batch of ugly soap, Taylor gave me a suggestion that helped me come up with this amazing idea. She told me to try making two batches of soap, one regular white batch, one colored pink, and to shred the pink batch of soap and mix it into the regular batch of soap. In today’s recipe, I have entirely omitted the Rose Buds and Petals. No matter what I did the petals would turn the soap brown and that is not what I had in mind at all! After I made the pink soap I used a vegetable peeler to make thin slices of soap. As I was peeling slices of soap, the idea popped into my head to try and made my own rosebud out of soap. I had seen it done before but thought it would be too difficult for me to do on my own. 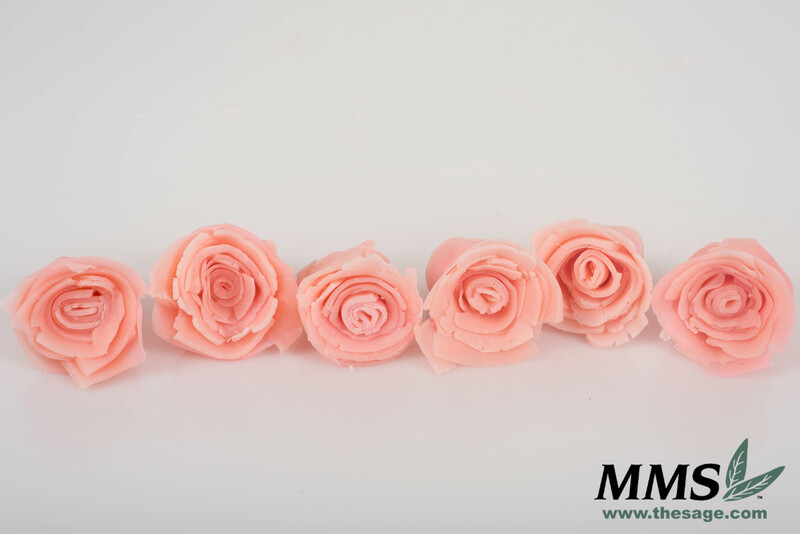 It turned out that making my own soap rosebuds was much easier than I thought and I think they look amazing! 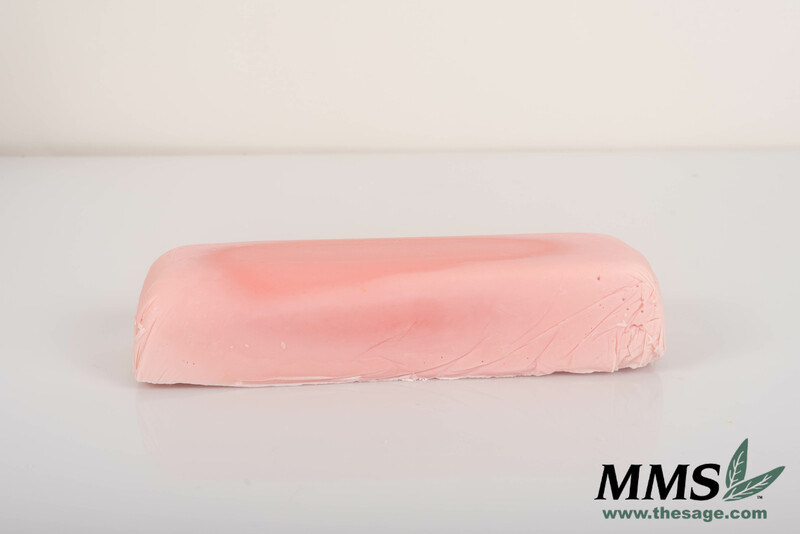 First I made my pink batch of soap so that it could harden and I could start making my soap rose buds. 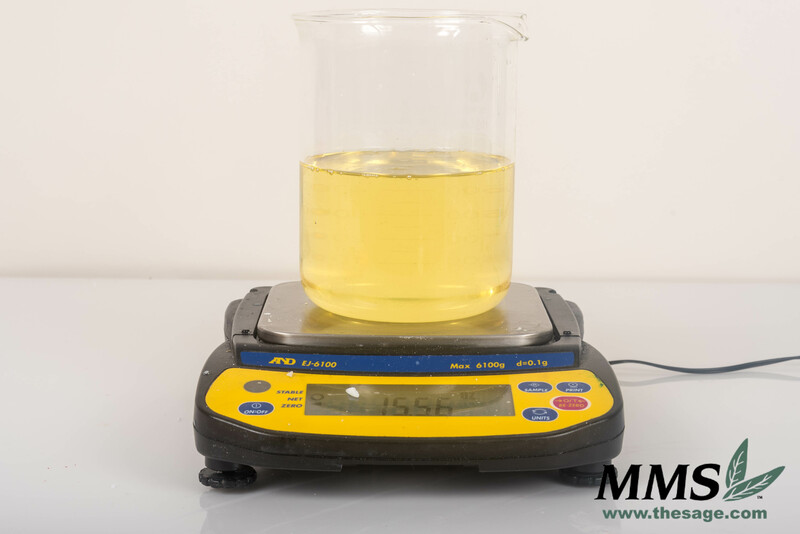 I started off by weighing out the Hydrogenated Soybean Oil, Palm Kernel Oil, Sunflower Oil, and Apricot Kernel Oil. While I had those oils in the microwave, I worked on getting my lye solution made. I used 5 ounces of water and 2.2 ounces of Sodium Hydroxide. In a separate beaker, I did 1 ounce of water and 1 tablespoon of Milk Powder. The oils and lye solution need to cool to around 120° F.
Once they are cooled they can be mixed together and stirred using an immersion blender. When trace is reached, it is time to add the Milk Powder with water, Rose Fragrance Oil, and the premixed Amethyst Pink Color. Since yesterday’s soap did not turn out as pink as I had hoped, I added about double as much as I did yesterday. 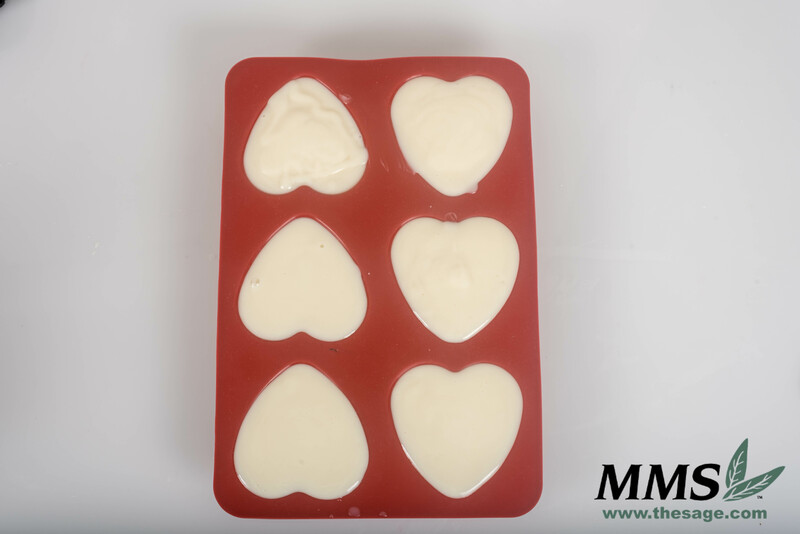 Pour into the mold of your choice, it doesn’t have to be anything fancy since we will be slicing this soap with a vegetable peeler. When I first cut this soap, there was some slight discoloration. But after allowing the bars to sit out and oxidize the whole bar eventually turned pink. Once this soap has fully hardened use a non-kitchen vegetable peeler to make thin slices of soap. I started by rolling up one slice then I wrapped the other slices around it. Slightly pushing down on the edges so that they resembled petals. Once you have formed your soap rose buds, set them aside. Next, we need to make the second batch of soap. This batch will be made just like the first except when mixing the 1 ounce of water with Milk Powder I added about 1 tablespoon Titanium Dioxide as well. I said on day 1 that I thought that adding the Milk Powder would give me a white soap but it did not. So in this batch of soap, I added Titanium Dioxide to make it whiter. 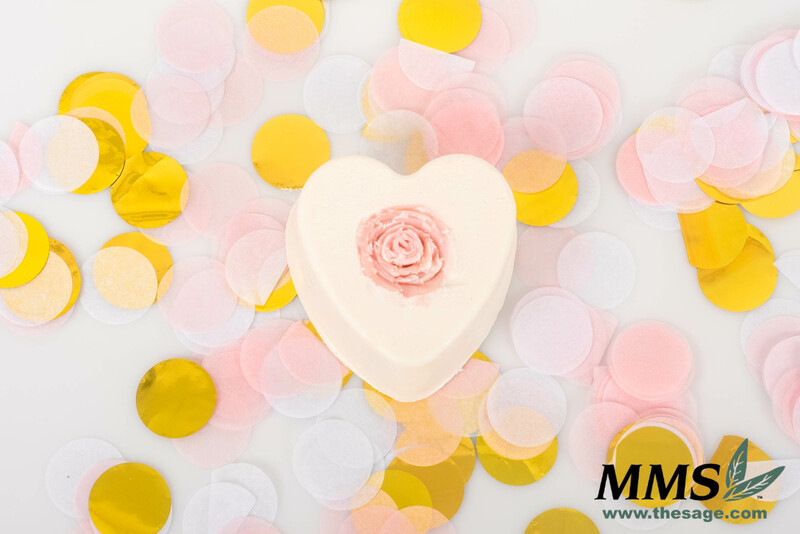 Once trace is reached add the Milk Powder/Titanium Dioxide mixture and the Rose Fragrance Oil. 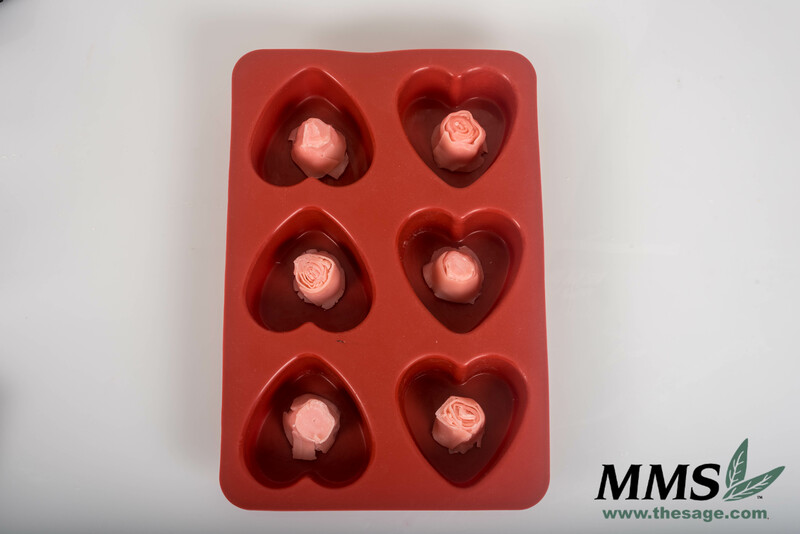 In the heart-shaped mold, I put my soap rose buds inside face down and pushing them down to create an air seal. I wanted to avoid getting the white soap in the top of my soap rose buds. I then poured the white soap on top of the soap rose buds. After the soap had hardened, I took the bars out of the mold. On some of my soap bars, the white soap filled in the top of my flower so you could not really see it. I decided to leave it that way so it would be a surprise! 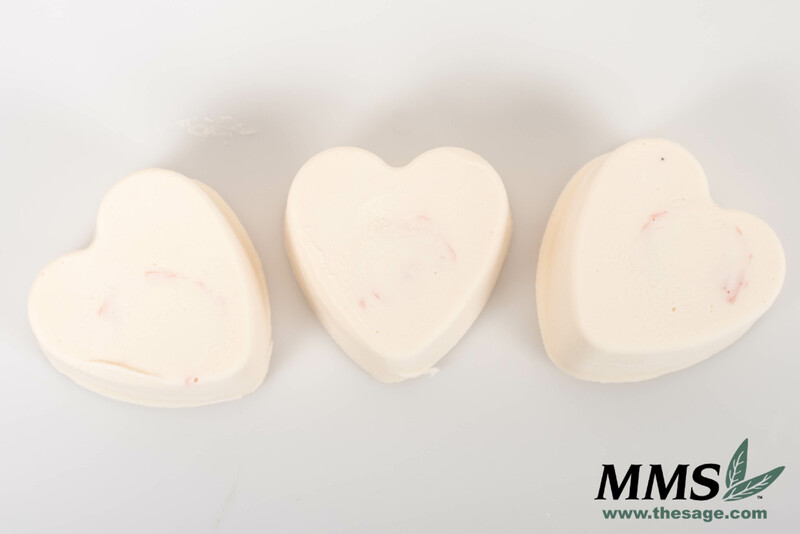 As you begin using the soap, the white will wear away, and the pink flower will be revealed in the middle. 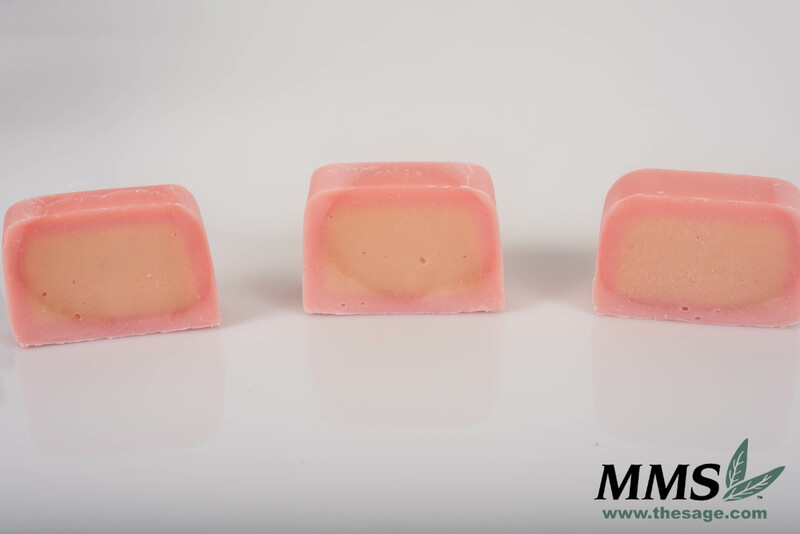 It is important to really push that flower down into the mold, creating an air seal around the soap rose bud. I am so happy that I finally made a beautiful soap that I can give to my mother. Making this Rose and Milk Soap has made me a little crazy, but I learned a lot from this experience. I hope you enjoyed experimenting with me! Third time is a charm. Hey all Soapers have their failure batches. But that’s how we learn. I really like these rose soap bars. Thanks to Andee, Tina and Taylor for their expertise on soap making. That’s how we learn. By the way Happy Mother’s day to you too.